Tickets Now On Sale! Purchase Here. Plenty of free parking is available along Ravenswood Ave. Venue is also 1/2 block north of the Irving Park brown line station. ** note that online ticket sales end 1 day before the event so that we have time to print out all our attendance lists and prepare for the following morning. 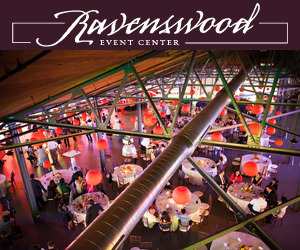 Indie Wed is presented by Indie Wed, LLC in cooperation with our wonderful venue hosts, Ravenswood Event Center. With three floors of flexible spaces in a former Billboard factory as well as their Industrial Ballroom a few doors down, there are plenty of options for both large and small events.